The Trial Law Offices of Bradley I. Kramer, M.D., Esq. recently obtained a $3.8 Million arbitration award against Congero Development Inc. for operating a Ponzi scheme. 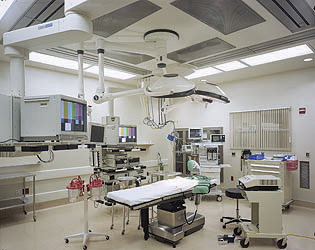 Congero, based out of Laguna Niguel, California, develops surgery centers throughout California. In this case, BIKLAW represented a doctor who owned a piece of property in Yorba Linda, California. Congero promised to develop the property into a medical building and surgical center. The doctor entrusted Congero with a sizeable amount of money, obtained through a loan secured by the property. The doctor alleged that Congero misappropriated those funds and used them on another project. After approximately 2 years with Congero working on the project, the doctor’s property remained an undeveloped, dirt lot. With the funds depleted, the lender refused to loan the doctor any further funds and insisted upon the repayment of the loan. When the doctor was unable to do so, the lender foreclosed on the property, and the doctor lost his property. The Arbitrator ruled that the doctor proved that Congero committed fraud and breached its fiduciary duty to the doctor. The Arbitrator awarded the doctor a sum in excess of $3.8 Million. The sum included the doctor’s attorneys’ fees and costs.